Sprawling beachfront panoramas can be yours when you stay at Parador MaunaCaribe, a Maunabo hotel that blends the best beachfront location with plentiful event space and top-flight features to provide the finest accommodations in southeast Puerto Rico. Our Mauna Caribe hotel is family friendly, with an emphasis on providing comfortable accommodations at affordable rates. Elite among Maunabo Puerto Rico hotels, our most recently renovated Parador includes one-of-a-kind features such as a 100-guest activity center and a romantic pool that provides the optical illusion of extending into the Caribbean Sea, both in a supremely picturesque location overlooking miles of crystal blue Caribbean water. Our 52 well-appointed guestrooms are outfitted with numerous amenities, including Satellite TV, air conditioning, a private bathroom, a refrigerator and other features. Our tropical restaurant serves an outstanding selection of traditional local dishes and creative seafood entrees overlooking our well-manicured pool area. The spacious pool features a cascade effect that gives it the visual impression of flowing directly into the Caribbean. Our activity center has ample room for 100 guests and is an ideal venue for a business meeting, social event, or even a picture-perfect Caribbean wedding ceremony. You can enjoy all of these features at a reasonable price, thanks to our All Inclusive Family Offer, which covers meals and accommodations for three days and two nights of island excitement. Our MaunaCaribe hotel is located in the beachfront town of Maunabo on the southeast edge of Puerto Rico. Nearby area attractions include Punta Tuna Beach, the Maunabo Lighthouse and the Sierra de Guardarraya mountain range. Celebrate, conduct business, or simply bask beachside at Parador MaunaCaribe, a slice of Puerto Rican paradise. Our Maunabo inn is home to elite Puerto Rico rooms outfitted to ensure your complete comfort at an attainable cost. No matter which of our 52 Puerto Rico hotel rooms you stay in, you’ll benefit from a full complement of amenities and in-room features. We pride ourselves on each Puerto Rico suite bringing all the comforts of home to within steps of the Caribbean Sea. Learn more about traveling to Puerto Rico for less with our All Inclusive Family Offer. 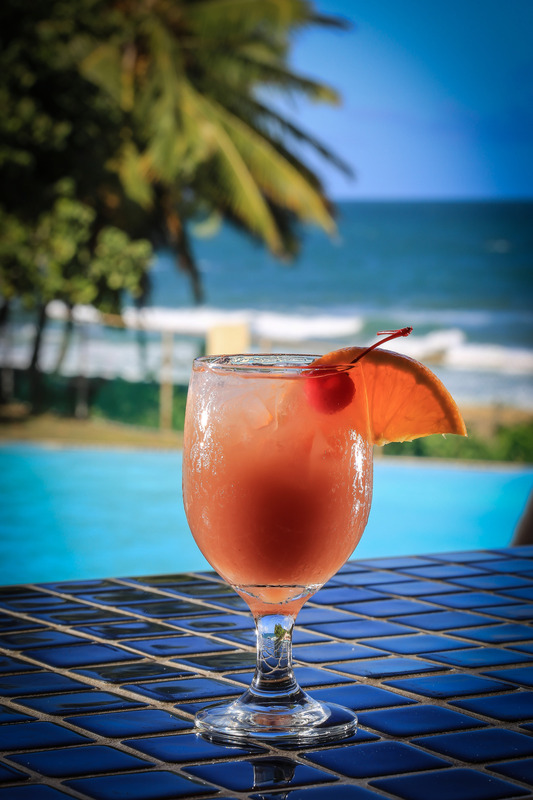 Lounging beachside might be the activity of choice in Maunabo, but it’s far from the only draw at Parador MaunaCaribe. Our pool overlooks the Caribbean in dramatic fashion, providing a perfect place to sip cool beverages and luxuriate in the warm tropical rays. Our meeting space is optimal for groups of up to 100, and our restaurant serves top-notch local fare made with ultra-fresh ingredients. Enjoy MaunaCaribe. Our Infinity Pool overlooks the Caribbean, providing a limitless view of the ocean. You’ll feel like you’re swimming in the open waters of the sea when you hop into the Infinity, truly one of the top pools Puerto Rico has to offer. 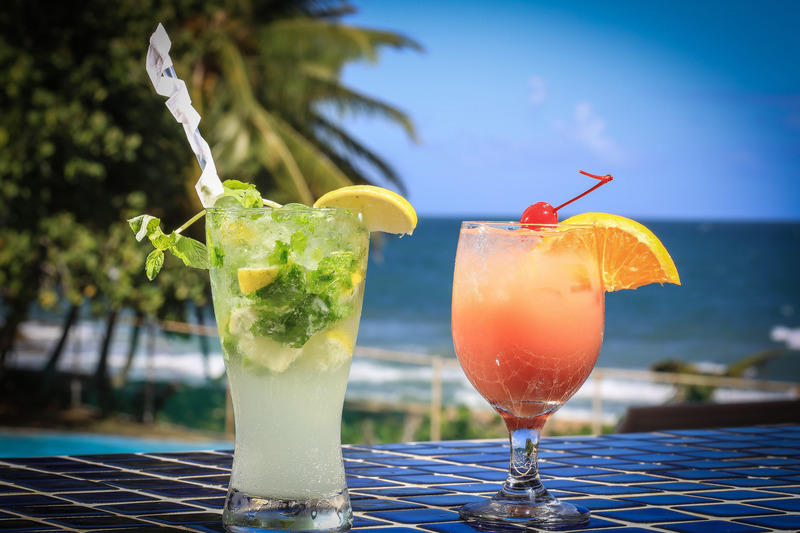 Children and adults can both use the pool, but adults have access to a special treat: A poolside bar serving refreshing libations all day long. Our inn features the best modern meeting space in Maunabo. Outfitted with comfortable air conditioning and space for 100 attendees, our banquet room is ideal for business gatherings, retreats or other functions. Our activity center is the perfect place to stay on top of your game no matter the weather. Our Puerto Rico family resort provides a wide selection of the latest, greatest video games in our state-of-the-art game room. Our room is geared exclusively toward gamers, featuring an XBox 360 with Kinect capability. Our on-site restaurant seats 80 guests and serves a variety of local favorites and an assortment of seafood dishes. Enjoy delicious breakfast, lunch or dinner dishes at MaunaCaribe, home to some of the finest dining in Maunabo. At Tropical Inns, we pride ourselves on providing the best possible experience to you, our guest. That’s why we feature high-speed wireless Internet in both our restaurant and our recreational areas. We also provide daily maid service, free parking for guests’ cars and an on-site Automated External Defibrillator in case of emergency. Maunabo is a stellar place for a beach wedding in Puerto Rico: Calm clear-blue waves lap against the sands of virgin beaches as the sun warms the grounds of Parador MaunaCaribe, our relaxing beachfront hotel. Our elegant activity center sits adjacent to our perfectly landscaped pool area, overlooking the vast Caribbean Sea. Our activity center accommodates up to 100 guests and includes views of our resort and the open waters of the Caribbean. Your rehearsal dinner and reception can feature fine international, local or seafood dishes, depending on your guests’ preferences, and your ceremony will take place in an idyllic location in front of a breathtaking beachfront backdrop. Our experienced event staff will assist you with preparing and hosting your wedding or event to make sure everything runs smoothly. Our team has experience hosting a variety of ceremonies and events at our resort, and can assist with set up, catering, and other aspects of your event. While staying in the 52 inviting guestrooms at Parador MaunaCaribe, you and your guests can enjoy friendly service and a wide variety of seaside attractions. We offer swimming pool, high-speed Internet access and other features on-site, and the hotel is located near several pristine beaches. Our All Inclusive Offer is one of the top Puerto Rico wedding packages, providing guests a wide variety of meals at a low price. Our beachfront hotel also invites other varieties of group travel, such as church retreats or family events. Our 100-guest banquet hall and outdoor terrace are large enough to host family reunions or gatherings, and our dining and catering service can be tailored to your group’s tastes. Start planning one of the top weddings Puerto Rico can offer at Parador MaunaCaribe by submitting a Request for Proposal. Parador MaunaCaribe is perfect for your next Puerto Rico meeting or group gathering. Our hotel’s convenient and picturesque beachfront location near San Juan makes MaunaCaribe a perfect venue for Caribbean meetings, events or group travel. Hold social events or meetings in our air conditioned and fully equipped activity center, including high-speed wireless Internet and room for 100 guests. Our in-house restaurant serves as a delicious Puerto Rico catering option, offering a diverse menu of local favorites along with seafood and vegetarian dishes prepared to your specifications. Our experienced staff will serve beverages and set up chairs and tables for your event. The 52 cozy guestrooms at our inn are flawless for group travel arrangements, as we can handle large and small group bookings alike. We boast a modern swimming pool with a breathtaking view of the Caribbean Sea, along with easy access to Los Pinos Beach, giving retreat attendees or group travelers plenty of outdoor activity space. Our Maunabo hotel is accessible by car from San Juan Luis Muniz Marin International Airport (SJU), Puerto Rico’s main connection to neighboring countries. Our inn is located along the stunning shore of the Caribbean but within a short distance of the town of Manuabo, giving guests a well-rounded taste of island life. To request space for an event or meeting, please complete our Meetings & Groups RFP form. Our Caribe resort offers spacious rooms and endless amenities to ensure your stay at our Maunabo hotel is a fulfilling one. Our beachfront location provides opportunities for oceanside relaxation and family fun in the sun. Use the contact information below to contact Parador MaunaCaribe. Parador MaunaCaribe is located 1 hour away from the Luis Muñoz Marín International Airport (SJU). US Passports are not required for travel to Puerto Rico from any US airport. Taxi Fixed Rates fromSJU Airport to Parador MaunaCaribe: $100.00. For more information call (787) 969-3260. Hotel personnel will help with Vias Car Rental service during guest stay. From San Juan, take the PR-52 Expressway to Caguas. Right after passing the toll, take the first exit to your right onto the PR-30 Expressway. Take the PR-3O Expressway to the Humacao exit. Head South on the PR-53 Expressway to Yabucoa, Exit 30-A. At the end of the PR-53 Expressway, take the 901 Road (Panoramic Route) to Maunabo. Continue down the road until you reach Los Pinos Beach in Maunabo. You will see our facilities on the left side facing the sea. Newsletter. Stay informed on our latest news! Subscribe and win a free night at one of our inns!